How adorable is that?? TOO CUTE! Gretchen said exactly what I wanted to say! ADORABLE! Oh my gosh, I literally laughed out loud. That is the funniest! 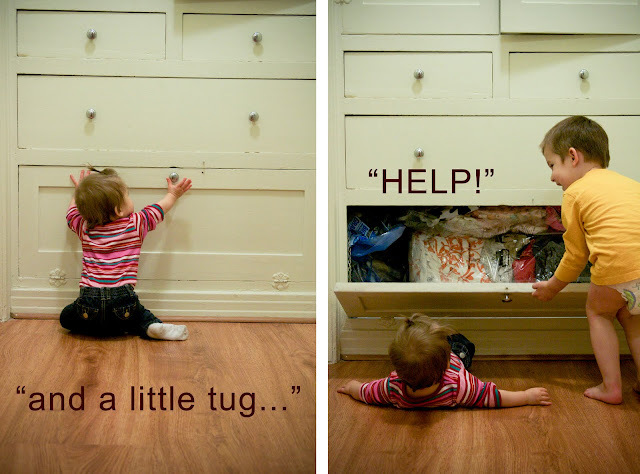 I loved the 'Help!' 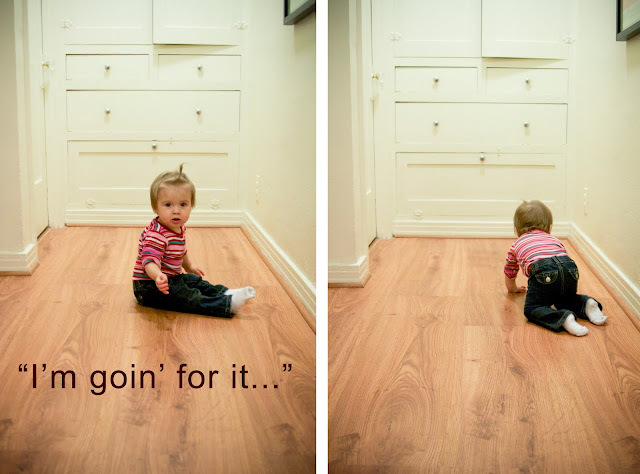 and Maya laughing that it was 'totally worth' it as she crawled away. Classic. Love it!! She is beautiful and him handsome! 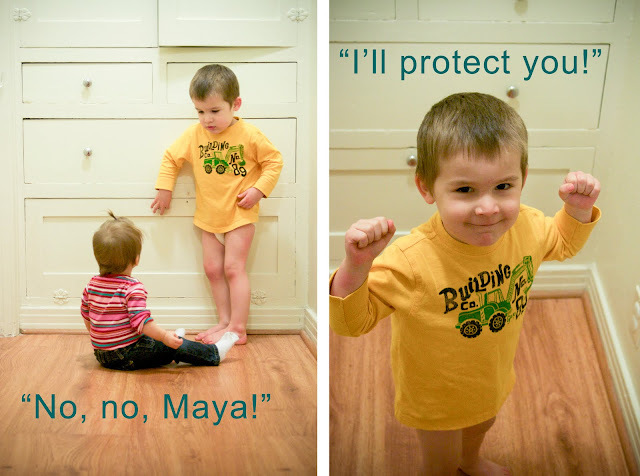 The sibling adventures of Maya and Finn. .
BLAH-hahaha! Thanks for the Sunday giggle. Your captions are spot on. Very cute pics of the kids. I love your site! Thanks for the blog tips! I am slowly starting to figure things out! she's getting so big! what a good big brother finn is. Too cute Lyndsay! I can't believe Maya is on the move!! Batten down the hatches -- whatever that means!